Theodore Bikel, an actor whose 60-year career ran the gamut from My Fair Lady to Charlie’s Angels, and whose roles ranged from fair-hearted sheriffs and space-faring rabbis to cunning murderers and a former secretary of state, has died at the age of 91. Originally from Austria, and trained in Tel Aviv and London, Bikel was known for his work on both stage and screen, originating the role of Captain von Trapp in the Broadway production of The Sound Of Music, and playing garrulous Jewish milkman Tevye more than 2,000 times in stage productions of Fiddler On The Roof. Credited in more than 150 roles on television and in film, Bikel’s most notable film roles include a small appearance—his first in a motion picture—as a German officer in The African Queen, as Hungarian phonetics expert Zoltan Karpathy in the 1964 film version of My Fair Lady, and an Oscar-nominated role as the pursuing sheriff in 1958’s The Defiant Ones. 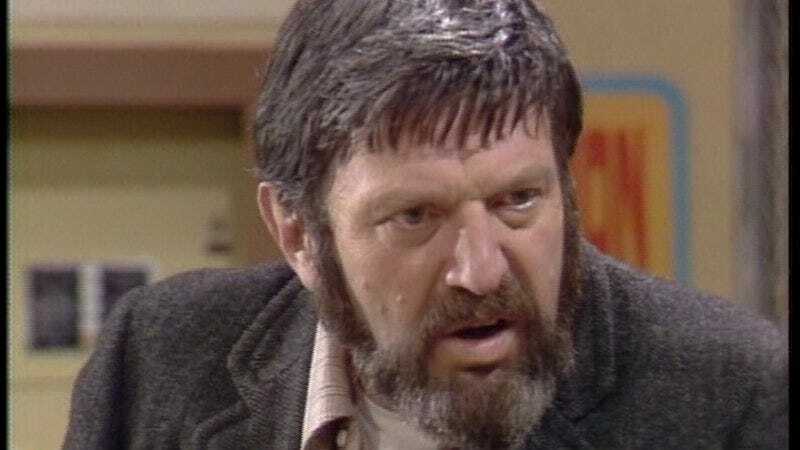 Bikel’s television roles were numerous; notably, he has entries on the wikis for both The Muppets and the Star Trek franchises, courtesy of roles on Sesame Street, and as Worf’s adopted father Sergey Rozhenko on The Next Generation, respectively. His other TV performances included playing a murderer on Columbo, a worried father on Law & Order, and a wide variety of characters—often Russian, owing to his skill with dialects—in dozens of other shows. A Mensa member and polymath, Bikel also worked as a composer and singer of folk songs, producing several albums of Russian and Jewish folk songs, and co-founding the Newport Folk Festival. In 1977, he was appointed by President Jimmy Carter to serve for six years on the National Council For The Arts, and in 2007 he served as the chair for the civil rights group Partners For Progressive Israel. Bikel died of natural causes on Tuesday morning.